The Capitol was begun in 1793 . The original building was finished in 1826. The extensions and new dome were finished in 1868. In 1958-1962 the Capitol was added more rooms to the East front. The restoration of the west front and terraces and the in-filling of courtyards, was completed in 1993. 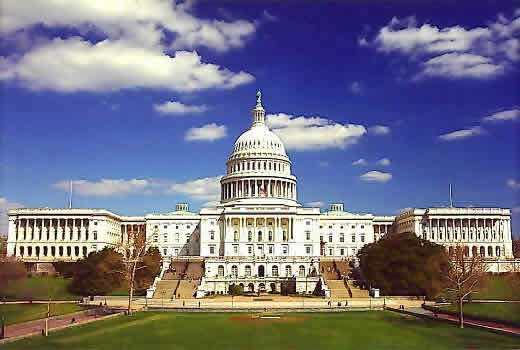 The Capitol of the United States houses the Legislative Branch of the government.